Humanscale foot machines get feet moving for health and comfort. Offering relief from prolonged, static sitting by encouraging gentle rocking of the feet, they engage lower leg muscles to increase healthy circulation. Designed to be the perfect accessory to an ergonomic work environment, the FM300 and FM300B enhance the experience of the ergonomic workstation. 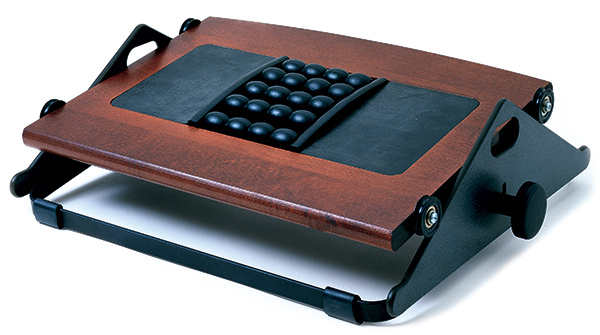 The FM300 and FM300B foot rests, with their ball bearing rollers, encourage users to move more by rocking their feet. This rocking motion uses the lower leg muscles to increase healthful circulation. The FM300B offers built-in massage balls to rejuvenate tired feet. In addition, both foot machines offer three-inch height adjustment for custom positioning. 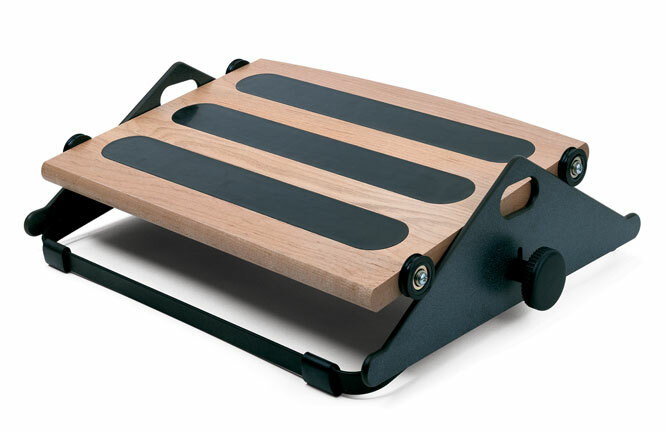 Our foot machines also raise the feet to relieve pressure on the lower back when sitting. Studies have shown that moderate movement throughout the day promotes circulation and increases productivity. By stimulating the lower back, leg muscles and feet, the FM300 and FM300B foot rests increase circulation and contribute to a sense of wellness.